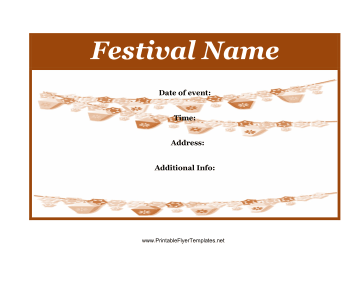 This simple festival flyer was designed in brown, and could be printed either in color or black and white. There are spaces provided for the time, date, and address of the event. Whether you need a cultural festival flyer or a food festival flyer, the cheery garlands portrayed on this sign will be appropriate.